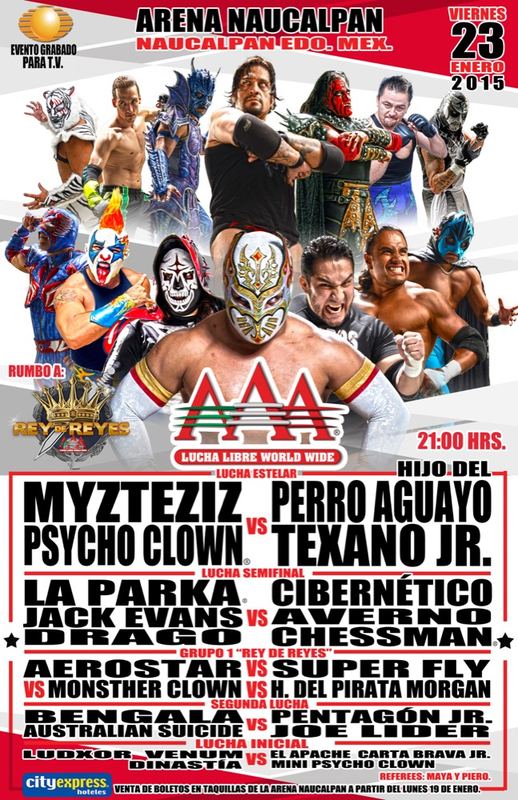 Arez & Ciclope were added to the match. Apache & Carta Brava finally got one over Los Cadetes. Taya seconded the Perros. Suicide continued to be a problem for Pentagon, defeating him with the tornillo shooting star press. After the match, in a separate event, Hijo del Fantasma came to the ring to demand a title challenger/victim for Rey de Reyes. Two mystery men watched the match from the crowd. 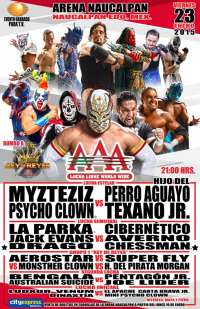 One was revealed to be Electroshock and both helped Hijo de Pirata attack Monsther Clown. Those two were eliminated first. Aerostar defeated Super Fly for the win, advancing to the Rey de Reyes final. three man powerbomb on Parka for the win. Debuts for Belial and Super Nova and Gotita's first match here in a year. Hamburugesa Splash on Belial for the win.